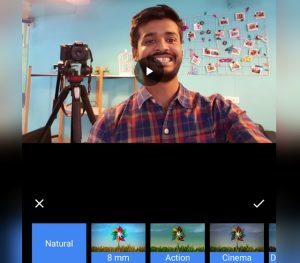 One of the best things about Google Photos is the in-built movie and animation creation feature, which compiles the photos clicked by a user into a short film, allowing them to revisit their favorite memories. And now that we are on the cusp of a new year, Google is celebrating it with a new movie called ‘Smiles of 2017’ which is all about the best selfies clicked by a user throughout the year. However, ‘Smiles of 2017’ is not a new addition to Google Photos, as the search giant has done something similar in the past too, take for example the ‘Summer of Smiles’ film which was rolled out last year. 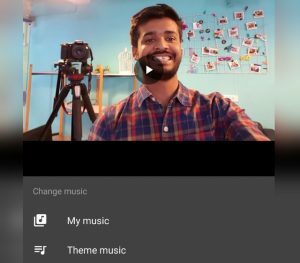 The ‘Smiles of 2017’ film appears as a card under the Assistant section on Google Photos’ homepage and once clicked, it plays a short clip of 40-60 seconds which showcases a slideshow of the best selfies clicked by a user in 2017, complete with a peppy tune playing in the background. But that’s not all; you can add a host of video effects such as Cinema, Lo-Fi or Punk to tweak the short film to your liking, and the background score can be changed too by selecting from a list of default tunes or songs from your device. There is a caveat, however. According to Android Police, Google Photos’ ‘Smiles of 2017’ film is not available to all users at the moment, as it’s made predominantly of your smiling selfies and folks who don’t have a rich collection of such pictures, stored on Google Photos might not see this nostalgia-inducing clip at all. Those who can see it, can also edit the AI-created film by simply tapping the ‘movie reel’ icon below the video. You can add new photos and remove the seemingly shabby ones from the clip before downloading the final cut to share with your friends or family. Has the ‘Smiles of 2017’ movie appeared in Google Photos for you yet? Share your experience with us in the comments section below.